Micromax Canvas Magnus (Quick Review) was launched by Micromax a few days back and was received as a value for money device. Also the pricing has been kept admirable in case of the latest flagship device Micromax Canvas Turbo (Quick Review) at 19,990 INR. Both of these devices come with an MT6589T chipset and will give better performance. Let’s consider them head to head to know by how much Micromax Canvas Turbo is ahead of the Magnus and if it matters. The Micromax Canvas Magnus and Micromax Canvas Turbo each has a 5 Inch display size and support color depth of 16.7 Million(True color) instead of 16 M which we have seen in canvas series phones like Micromax Canvas 4 so far. The difference will be better and vibrant color but this might lead to slight expected increase in response time of LCD (not your touch) though it is too soon to say . This will enhance your multimedia experience. The Micromax Canvas Turbo comes with higher resolution of 1920 x1080 pixels with 441 pixels per inches which promises crisp text and sharper display. The Magnus comes with 720 p HD resolution and 295 ppi which is pretty good in its price range. More pixels also makes your processor work harder while watching videos and playing games which makes it consumes more battery and if the battery capacity is not up to the mark in daily use you will enjoy the HD display more with medium brightness than when you are forced to put your Full HD display on lowest brightness. The processor in both of these smartphones is the same and is also the best that we have seen in budget android segment so far. Both of these phones are powered by MT6589 processor with 4 cores clocked at 1.5 GHz and assisted with PowerVR SGX 544 MP GPU clocked at 357 MHz. Micromax Canvas Turbo coupled with 2 GB of RAM will be more efficient at multitasking as compared to Canvas Magnus with 1 GB of RAM. The Camera specs are also almost similar where it matters. The Primary camera of Micromax Canvas Magus is of 12 MP and is supported by LED flash similar to 13 MP camera in Micromax Canvas Turbo. The front camera of Magnus is of 2 MP and that of Turbo is of 5 MP and since it is mostly used for Video calling the Pixel count does not matter as much, Micromax has not mentioned the video recording capability of the front camera. The Camera of Micromax Canvas Turbo has the added advantage of software features like 360 degree panorama, Cinemagraph and object erase. You can see these features in action on our Micromax Canvas Turbo Quick Review article. On the memory front, Micromax Canvas Magnus comes with the advantage of expandable storage up to 32 GB using the microSD card. The onboard storage is 4 GB (2.6 GB available to users) since most Canvas series phones let you install Apps on external SD card; this won’t be much of a problem. The Micromax Canvas Turbo comes with 16 GB of non extendable storage out of which 13 GB will be available at the users end. Both of these phones are powered by 2000 mAh battery which will give you 7 hours of talk time on both of these phones. You will get Standby time of around 180 hours on Micromax Canvas Magnus and around 105 hours on Micromax Canvas Turbo. The battery backup will last longer in Magnus while gaming and while watching videos. Canvas Turbo comes with loads of gesture features which work on proximity sensor and won’t be as useful and accurate. Most users will turn most of them off after experimenting with them. The camera features do look interesting and we will have to wait to see how they actually perform. It also adds features like iFloat and Multi Video views for efficient multitasking. Many of these gesture features are also present in Magnus. 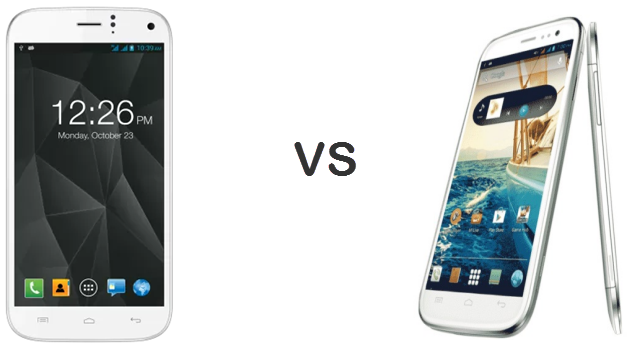 Both of these phones run on Android 4.2 jelly bean operating system and support dual SIM functionality. Canvas Turbo accepts one micro SIM and one Normal sized SIM. Micromax Magnus is a good device and it cost less. The Canvas turbo offers the added advantage of full aluminium body which looks quite attractive in pictures whereas Micromax Canvas Magnus is closer to plastic design language we have seen in earlier canvas series phones. Micromax Canvas Turbo sports everything right on the spec sheet and Canvas Magnus will give you almost similar performance in a less glittery package. Where can i buy Micromax Canvas Magnus A117 online ? Flipkart and anyother online retail store. yes it does support playing and recording Hd videos at both at 720p and 1080p as well. we are not sure about the gestures features, but again you can make these things work in this phone as well if not natively supported. The FOTA will support will be there. we will let you know more once we do the detail full review of both of these phones. it will come in the market in next two weeks, then you can buy it. Hi Abhishek, both these phones are having good specification at the price range. I am planning to buy Canvas Magnus but I just wanted to know whether this phone has magnetic sensor. On MMX site it has mentioned that this phone supports magnetic sensor but some of the reviews says it doesnt. Please confirm. It does not have magnetic sensor – canvas magnus is a good choice and navigation will work on this phone. If you want better and faster phone go for Micromax but if you want better after sales support then go for Samsung. Which is the worth buying in terms of everything. We cant comment on any of these right now, but wait for some time and we will give more info on which one is worth buying. Hi, Does magnus come with a removable battery? Magnus does not seem to have a removable battery, but we are not sure and we will confirm this later on once we the full review of the phone. there are many – oen of the few to name are lava iris 504q, videocon a55 hd and zen ultrafone 701 hd. Tell us your requirements so that we can help you better. All the Qs r abt Turbo……..
1. Isn’t the Aluminum body likely to get dented due to frequent falling ? 2. How many GB of space will the Android gaming apps use ? 3. How long will the 2000 mAh battery last if watching movies or while gaming ? 4. Also what about the customer service? Heard a lot of negative comments regrading service of MM ? 5. What about the SAR value ? 6. Does 13 MP or the 5 MP actually produce the desired output ??????? 3. It will last for a day with moderate usage which does not include playing graphic intesive games play, but you can do every other activity but not for long. 4. Customer service feedback from consumers is really bad. 5. No idea, will tell you once we get the unit for review. 6. cannot answer until we get the review unit. I hope these replies help you. I have an Iphone 4 at moment and am looking for a change since I own the phone now for around 3 years. Thus I’m looking to buy something upto 20k. So I came across Micromax Turbo and Intex Aqua i7. Both are almost identical phones.. well on the sheet atleast. I would prefer something which would give me a much better performance than my current phone (Iphone 4). Thus I decided to look for better RAM since Android requires more RAM somehow to do same tasks as compared to iOS. How is the OTA for Micromax ? In Apple, I’ve a factory locked phone, thus i do not play around much and it’s heck of a work to update it carefully without bricking it. Any other budget phone which would be even better than Turbo or Intex Aqua i7 ?? Please help. we would suggest you go for Gionee Elife E5 or Canvas 4 both of then are decent performer. OTA for micromax flagship phones comes sooner as we have seen till now. Turbo may not be that good in gaming, but again will have a great performance like canvas 4, the only problem is 1080p display which makes the graphic little slow and UI transistions as the GPU on the phone Power VR SGX 544 MP does perform great on 1080p but quite good performer with 720p display. Just few hours ago, news came about Nexus 5’s official launch and it would be available in India in 1-2 weeks time for sale. That’s certainly a much better phone with better hardware, better software and much better branding behind it (Google itself & LG). I think for now, I will keep my eyes on Nexus 5. Will be waiting for its review probably on your website aswell. I hope you do one soon when you get a handset. We agree with you and we will review the phone as soon as possible as many of our readers like you are interested in the device. We too think its seems to be a great value for money, lets see how is it in terms of overall performance and usage. On both canvas turbo and magnus you can install apps on the sd card. You might need to restart the phone once you set Sd card as default install storage location on these phones. yes, we install apps on Sd card on Canvas Magnus A117 not on the canvas turbo. Abhishek, i am very much worried about its durability, will these Micromax phones will last for 4-5 years. i want good durability like samsung and sony offers. please suggest me how much it will last for? even if i handle with care. Even if you handle it with care, it wont last more than 3 years and battery life is going to degrade on these phones at a very rapid rate, so they wont give you the kind of durability you might have seen on samsung and sony phones. now a days i m very confuse .. Bcz i can’t decide which one is best magnus or canvas 4 .. Bcz canvas 4 have 10gb internal and 2 gb for apps and games .. And magnus have 1 gb for apps.. I love to using apps and games .. If i buy magnus ..then can i tranfser my apps and game to extrnal memory card .. With the help of rooting ..
And magnus have any Corning Gorilla Glass..? And wat about gps .. Its say magnus have Magnetic Sensor.. its real or fake ..? I luv the bulid quailty of canvas 4 .. They look like any branded phone ..
Can u tell me wat if the differnce about gpu in both phones..?? Is this same or not ..? yes you can transfer your apps and games to the Sd card, we cannot confirm gorilla glass protection, we will confirm this later. GPU is same on both of these phones, but its running on higher frequency on canvas magnus a117 – we recommend you Magnus a117 than canvas 4.
can i get flip covers for MMX canvas magnus because it is not included in box. Is it protected by corning gorrila glass ????? You can get flip cover for the device from the market in this case. We are not sure about the gorilla glass protection, will confirm this later. This really looks.sounds weird. Initially we saw many websites that speaks about confirmed specification of Canvas turbo, that it has Corning Gorilla Glass 2 protection. Now the MMX website itself doesn’t claim this. I bought canvas turbo, simply great and spectacular device. But it really doesn’t make sense that box doesn’t include any glass protection/screengaurd and no flip covers. I searched the online and local shops for the same. I couldn’t find any. Just wanted to know if it has gorilla glass. pls pls pls also tell me that is canvas magnus upgradable to android 4.4 kitkat?????? its unlikely unless its is sold in large numbers. Hello Sir, u said the phone wont last for more than 3 years, I was going to buy Magnus for LIFETIME. I dont undrstnd y it wont last forever, even if I handle it with utmost care. the battery quality of the device is not that good, so it will degrade over time and the phone is good it can last as much as you use it in the right way. Here is is mentioned that magnus does not have magnetic sensors, but MMX site states in specs sheet that it has Light Sensor, Motion Sensor, Proximity Sensor, Magnetic Sensor. Can you pls clarify urgently. I’m planning to buy it today. we confirm you that this device does not have magentic sensor. Magnus will be a better choice if you are a gamer. It all depends on your requirement, if you can tell us your usage requirements and things that matter to you the most then we can help you better to decide which one is best for you out of all these. Hey abhi, i am confused between canvas 4 nd canvas magnus…wch 1 to choose? ?….im a gamer nd i also wsh to have a premium phn with metal touch…. For a gamer, you will get better experience on magnus a117 then canvas turbo, however the canvas turbo has a metal build but magnus a117 is a also good on the build quality, but we cant confirm that it has metal back or not. Tell us your price budget so that we can help you better, also tell your specific usage requirements for the phone like gaming, apps usage, multimedia etc. My price budget is upto 15k, and usage requirement will be for multimedia apps and not much for games. good battery backup is required. There are many phones in this price segment, we can suggest you Lava iris 504q and Gionee Elife e3 you can choose anyone of these. As per the user feedback, the after sales support from micromax is not too good but its there for you when you need it. I m in a big confusion by the release of mmx canvas magnus.Before that i m going to buy mmx canvas hd. Which one is better,Canvas magnus or hd ?? It seems the magnus is more stylish,slimmer & more features than canvas hd.Is there any problem reported of magnus now a days. My purpose is for high grapics gaming,internet surfing,better performance. Canvas Magnus will be a better option compared to canvas HD, as per your requirements canvas magnus will be a great device for you as if now. I am having confusion to buy mm canvas series. plz suggest me which iz best out of these, micromax canvas plus2 or micromax Hd A116 or micromax magnus. Which one iz btr. Most of time i am browsing downloading,watching videos and playing games in mobile. So which mobile iz btr out of these plz help me friend………..or any other mobile iz best help me plz…..and how iz audio quality and camera quality..? Micromax Canvas Magnus A117 will be the best option out of all these as per your usage requirements. It seems there are only few (4 or 5) review or benchmark videos of Canvas Magnus are available on YouTube.Why reviewing team did’nt make this including u ?? we are going to get it soon for review, so stay tuned to see the review soon. Magnetic sensor is required for GPS navigation to make it more precise with directions inputs and your orientation, but if it is not there then it does not mean that GPS navigation will not work, it will still work. Under 15k price you have pretty good options if camera is more important for you. Some of the devices are Gionee Elife E3, Lenovo K900 and Elife E6. Thanks Heet for help other readers, cheers!!! this is james. i have a doubt..i think video recording clarity is better in magnus compared to the canvas hd.photo resolution is less in magnus compared to the canvas hd. then what about flip cover for canvas hd and magnus.they are provide or not and which one is better? we can only confirm more details on canvas magnus, once we get the device for review. which is better? canvas 4 or Magnus? financially and performance wise? magnus a117 has the same CPU and GPU as you get in canvas 4 but they are running at higher frequency, so overall performance will be slightly better on the magnus and the build quality is good on both of these. hi abhishek! . whether mmx magnus A117 has removable battery and HD recording or not? ALSO can we run high applications and games even if it has 1GB RAM BY ROUTING? Lumia 720 has a great camera, but the camera on Canvas Turbo is not bad either and update to Kitkat is expected but you can only do it when Micromax push the same, about which we have no idea when they will do, but they will do as per info we have. we can only tell you more on these points once we do the full review of canvas magnus. hello sir, i am planning to bye canvas magnus but confuse in battery matter…its battery backup is good or not ? battery backup is just average – it will last you for one day with moderate usage. Which is better phone…canvas 4,canvas turbo or magnus …..lookwise,financially,by performance,pixel density,viwing,gaming,resolution,picture and camera quality. price is not matter for me….I was seen canvas 4 few days ago….It has outstanding look. I am fully confused…these 3 mobiles have almost same features,and not so much diffrence in price…. sir,can u tell me…what is real price of canvas magnus in shop…not Net Price. I am confused between “canvas turbo” and “canvas magnus”. if you plan to use for next 2-3 years then go for samsung or nokia phone, let us know your price budget so that we can help you better. Tell us your specific requirements on terms of features, so that we can help you better. Canvas Magnus and Canvas Turbo – the rear camera on the magnus is 12 Mp and on turbo its 13 Mp but the real difference is not much, its almost the same. The front camera on canvas magnus is 2mp and on turbo its 5 Mp which is again does not create much difference but the 5 Mp camera can help you do a better quality of video chat at times. Sir my budget is 16000 which phone better of me…. Lenovo P780 and Gionee Elife E5 are two good options. the internal memory is divided into two parts and one of it is 0.99Gb and other part which is 12 Gb can also be used for apps. I want to buy a new phone. I’m studying in 2nd year college. Was thinking about buying Windows but o good phone around Rs15000 range. Thinking about micromax now. Which is the best phone to be bought around Rs15000? Magnus costs Rs11,500 now and Turbo Rs15000. Which one to buy? Oe some other phone to be bought? Basic use. Internet use mainly, with camera,music. Gaming would be not much. Please suggest. Hey Abhishek i am confused to buy between canvas magnus and canvas 2.2 . 1) I am a heavy gamer and benchmarking score of canvas 2.2 is better than canvas magnus. 6) Does these phones have any screen protection like gorilla glass or scratch resistant glass. we havent reviewd Canvas 2.2 yet. we spent some time with magnus and its camera is pretty good. I think its a good value for money device. I’ve been using canvas magnus for last 6 months.. The phone is working just fine. But the problem that I’m facing now is its memory. The memory available to install apps on the phone is just 1GB out of which the large section was exhausted by the pre installed Google Apps and their updates. Now I’m finding it very difficult to install new apps as it says insufficient memory. Is there a way to increase the memory? I heard that mmx allows us to install apps on External SD card.. Is it so?